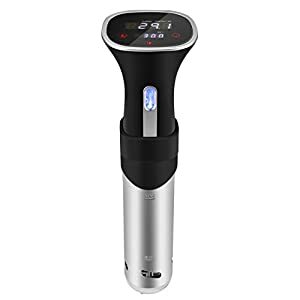 Tags: A1-220UK-K1, anova, Anova A1-220UK-K1, Anova A1-220UK-K1 Sous Vide Immersion Circulator, Anova Sous Vide Immersion, circulator, circulator cooker, cooker machine, cooker system, culinary, gourmet cooker, Immersion Circulator, precision cooker, Precision Immersion Circulator, slow cooker, sous vide, sous vide amazon, sous vide cooker machine, sous vide cooking, sous vide machine, sous vide precision cooker, thermal cooking. 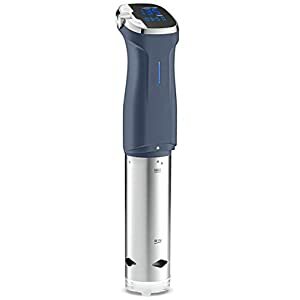 The award-winning Anova A1-220UK-K1 Sous Vide Immersion circulator for the home chef. 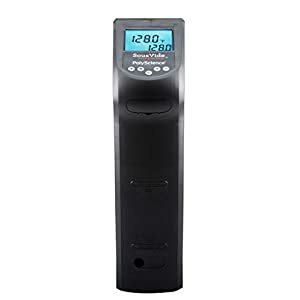 It features a 360° directional pump for maximum circulation, an easy-to-use touch screen display, and stainless steel parts. It is easy to dissemble and has a dishwasher-safe steel skirt. How to Use To use the Anova, you simply attach it to a pot, put your food in a ziplock bag and set the time and temperature. The Anova A1-220UK-K1 Sous Vide Immersion Circulator circulates water around the pot, ensuring a consistent temperature throughout. The food is amazing, tender, and moist, every time. Did you know that precision cooking (sous vide) is used in the majority of high-end restaurants? Most people don’t know how pervasive precision cooking is, but it’s now used by a majority of high-end restaurants. It’s also used at chain establishments, such as Chipotle. While high-end restaurants have been using precision cooking for years, the technique has only become popular with home chefs in the past four to five years with the advent of reality cooking shows. 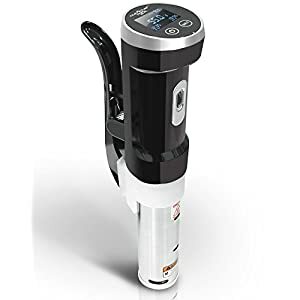 Despite the publicity from these cooking shows, until last year, most sous vide devices were still too expensive for home chefs, as models cost between $500 and $1,000. Anova was the first company to begin selling an affordable device for the home chef, with a price of only $199. Now, precision cookers / sous vide devices are the fastest growing kitchen appliance category. 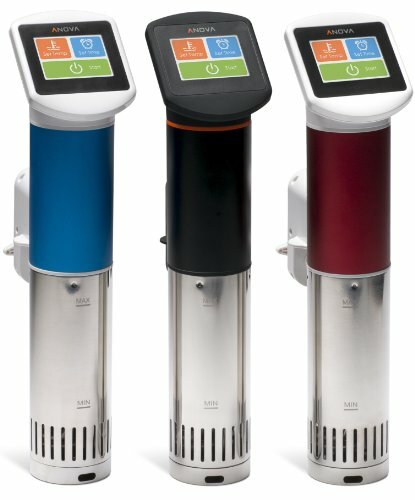 What does sous vide mean? 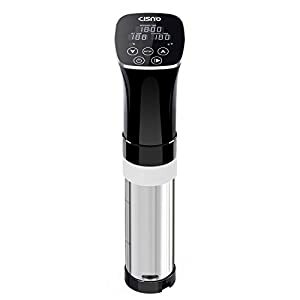 For years people have called this type of cooking “sous vide,” which is French for “under vacuum.” This refers to the process of vacuum sealing food and putting it in a water-bath. However, that’s a bit of a misnomer. You don’t need to vacuum seal your food to cook sous vide. Instead, this technique is really about bringing food to a very precise temperature and holding it there for a period of time. A better name for this technique, then, is “precision temperature cooking” or “precision cooking” for short. 30-day Money-Back Guarantee. 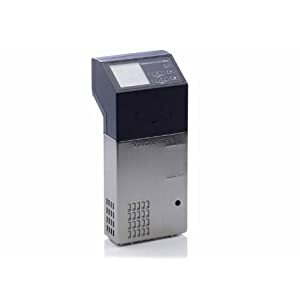 All Anova sous vide immersion circulators have a one-year limited warranty.